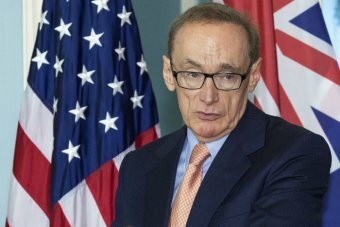 Foreign Minister Julie Bishop has criticised her predecessor, Bob Carr, for publishing a political diary based on his time in the job. Ms Bishop has warned Mr Carr's actions will not help Australia's efforts to build relationships or maintain trust with its allies. She told the ABC's Insiders program on Sunday that senior government figures need to be assured their conversations with an Australian foreign minister will be kept confidential unless agreed otherwise. "If they knew that Bob Carr was surreptitiously keeping notes and he's going to write a self-serving account of the conversation from his point of view, well, they might have chosen their words differently. They might have done things differently," she said. "I think it's unfortunate, from what I've heard, he will be breaching confidences. "Not just what he had for lunch with the director of the CIA, but more detail than that." But Mr Carr has defended his right to publish a memoir, saying it is common practice for foreign secretaries in the United States. He says Australians deserve to know how foreign policy is made. "The alternative to an Australian foreign minister writing a responsible account of his time as foreign minister is for Australians to wait until the next slew of secrets via Edward Snowden is spilt out to the world," he said. "I think [Ms Bishop] is leaping at shadows and she should wait until the book comes out. "Australians have got a right to know these things."